The care of ropes varies from total neglect: ignoring the end of a dock line, un-whipped, unraveling and trailing in the water, to the obsessional: washing a climbing rope after every use and rope rage if anyone even thinks about treading on it. 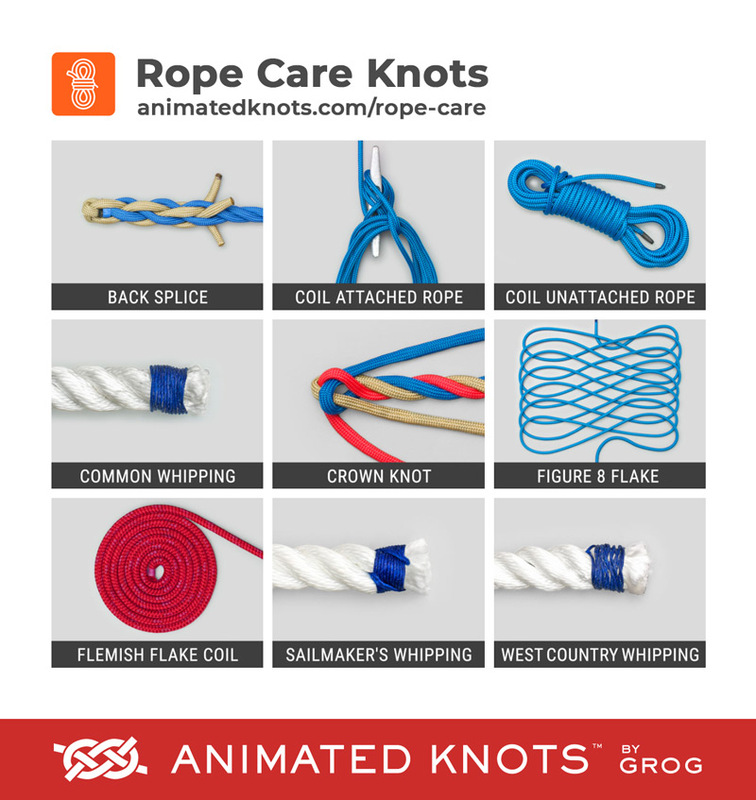 The selection of options here is based on input from boaters and from climbers - who have an appropriate concern about the condition of their ropes. Modern good-quality rope, properly treated against UV damage, is extraordinarily resilient and lasts for many years. Indeed, attempts to show marked deterioration due to age, chemicals, and misuse are more remarkable for the strength preserved than for the damage done. 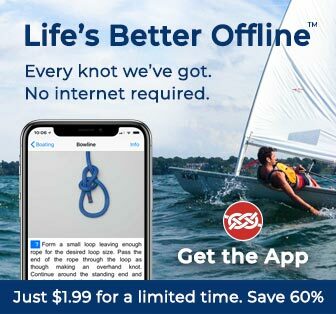 Nevertheless, while modern ropes may be resilient to damage, the ends must still be protected against unraveling, and rope should be coiled, or kept, so that it is ready for use when needed: kink free, knot free, and twist free. Keep your rope off the ground to protect it from dirt that contains sharp small chips and crystals. Avoid contact with chemicals, acids, alkalis, bleach, oxidizing agents (present in concrete), and embers, sparks or other sources of ignition, e.g., smokers. Avoid treading on your rope as this may work sharp particles into the core. Use climbing rope only for climbing – not for towing a vehicle. Climbing rope should be stored, preferably after drying, at room temperature, ideally in a storage bag. Climbing ropes should be washed occasionally by hand in cold water with a mild soap, rinsed free of the soap, and then spread out or hung up to dry in the air. Avoid direct sunlight, do not use a dryer, and do not place the rope above a heat source. Manufacturers recommend a retirement schedules which errs on the side of caution and also, presumably, on the side of profit! How long you decide to use the rope depends on your own inspection, knowledge of the rope’s history, and assessment. 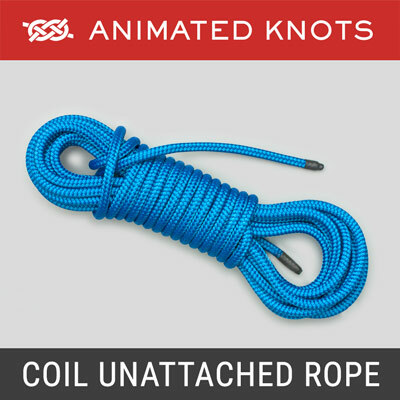 If a rope has not suffered a major fall, i.e., approaching factor 2 (a fall double the rope distance from the belay); if the sheath shows no significant wear or damage; and if the rope has not been exposed to damage from chemicals: it is almost certainly safe to use it within the schedule shown below. However, repeated minor falls, heat from rapid rappelling (abseiling), and rappelling using small diameter carabiners all tend to weaken rope. Heat: For rope made of nylon, polyethylene, polyester, or polypropylene, the ends can be protected moderately well by melting them using flame, an electrically heated element, or a soldering iron. However, merely cutting the rope with an electrically heated element provides very poor protection: the thin layer of fused plastic does not survive compression or abuse. Careful, prolonged heating provides better protection by creating a larger layer of solidified plastic on the end of the rope. However, nothing beats adding a properly applied whipping. If you value your ropes, whip and burn all their ends. Charring: Aramid fibers, e.g., Kevlar, are merely charred by heat. Burning these ropes provides no protection. 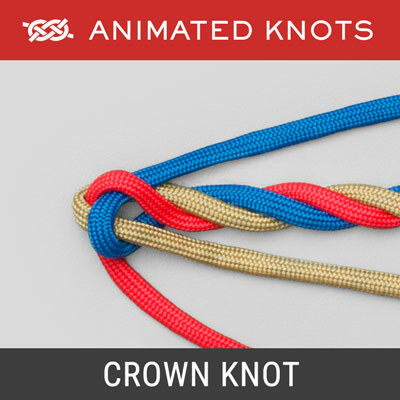 If the rope has a core and a sheath, the sheath may melt and provide a ring of solid plastic round the core. However, if the core merely chars, it is far too likely to pull out or retract inside to be a satisfactory long term protection. 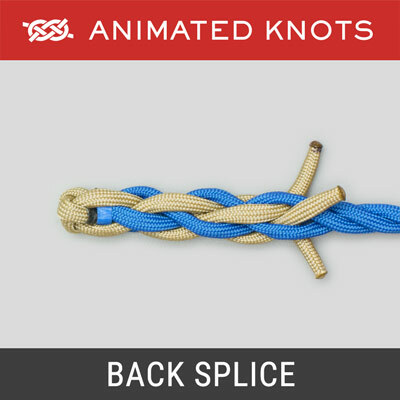 The ideal way to finish such a rope is to use a Sailmaker's whipping short of the end, cut the core shorter than the sheath, and then burn the end of the sheath to enclose and cover the core. 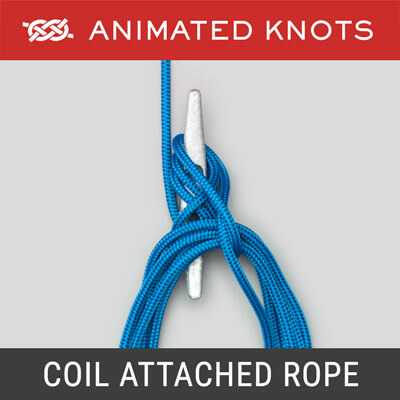 Many techniques are described for Coiling Ropes. The underlying expectation is the same: when the rope is needed, it should pull smoothly from the coil without forming knots or twists - far easier said than done. Opinions vary as to: whether the coil should consist of stacked figure 8 turns or should consists of alternate loops twisted in opposite directions; whether the coil should be folded in half before completion; and how the coil should be secured. 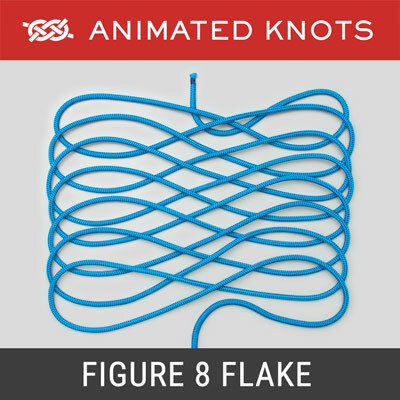 In general the worst way to store a rope is flat on the ground as a Flemish Flake (spiral coil). Not only will it get dirty, it is too likely to have multiple twists and kinks if pulled out in a hurry. 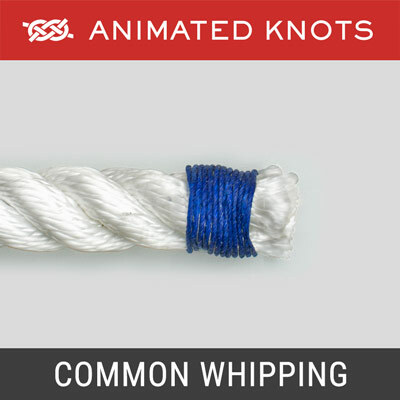 Many techniques are also described for whipping a rope's end. Although nothing beats a Sailmaker's whipping, it requires a needle and takes time. 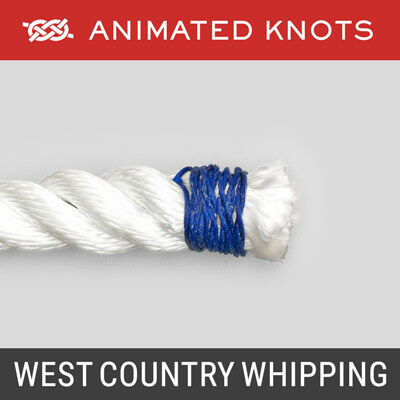 Properly applied, simpler techniques such as the West Country or the Common whipping provide good protection and are completed more easily and quickly. Temporarily stop rope's end unraveling.